Karthik on Monday returned to India's World Cup squad after 12 years, trumping Mahendra Singh Dhoni's heir apparent Rishabh Pant. 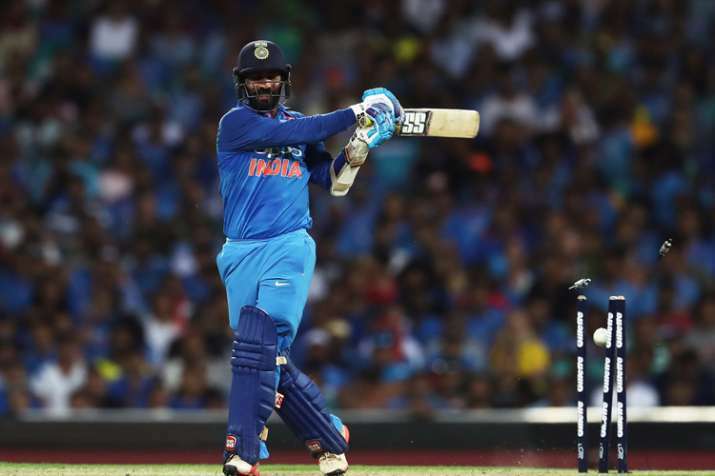 Wicketkeeper-batsman Dinesh Karthik, who was on Monday named in India's 15-member squad for the upcoming World Cup, said it was a dream come true to be a part of the team. "I am very excited. It has been a dream for me to be a part of this team for a long time now," he said. "As a team, we have done some special things and I have been through that journey and I have really wanted to be a part of this team," he told www.kkr.in. Karthik on Monday returned to India's World Cup squad after 12 years, trumping Mahendra Singh Dhoni's heir apparent Rishabh Pant in a selection move that will be debated for a long time. The second wicketkeeper was the sole bone of contention for the marquee event starting in England and Wales on May 30 and the 33-year-old Karthik's experience of 91 ODIs gave him the edge over the 21-year-old Pant, according to the five-member selection panel headed by MSK Prasad.